Remodeling the entire kitchen is not easy and we certainly feel your worries. Looking up magazines and the internet for the best advice might also be slightly tedious and confusing. But hold on before you lose all your hopes because the legendary Houzer LCR-3221-1 is here to help you out. 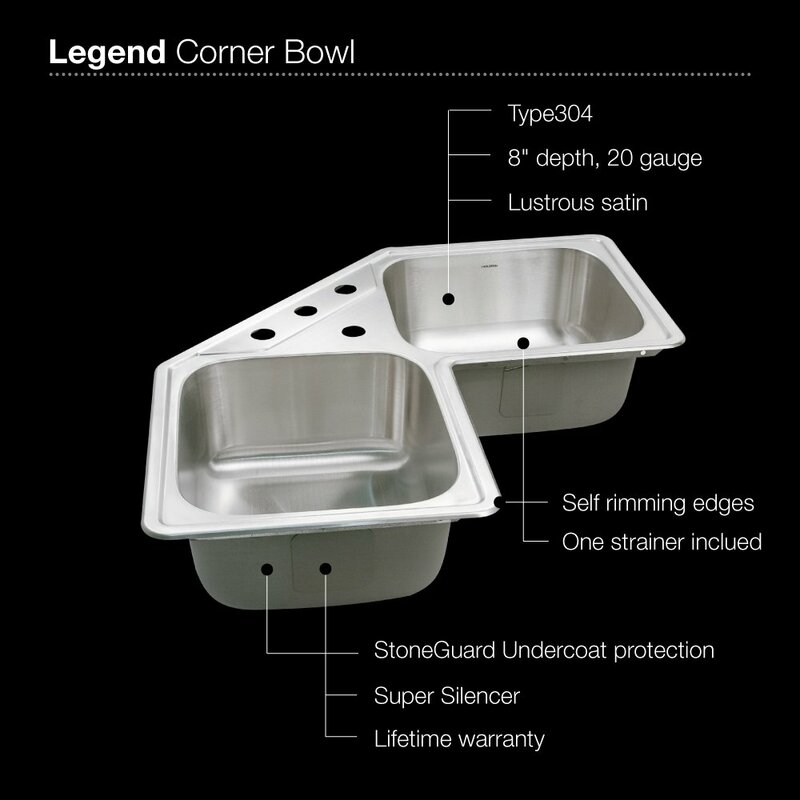 Built by professionals meant only for professionals, the Houzer LCR-3221-1 top mount stainless steel corner bowl is designed only for you. These drop-ins are made out of lustrous satin that gives you a feel-good experience. The not-so-ordinary product comes with a highlighted rim as well, making your room look nothing less than a professional’s. The product offers a limited warranty but be rest assured as it is certainly not going to leave you with any complaints. Houzer has mastered the art of offering only exceptional sinks that complement your lovely home and unique lifestyle. 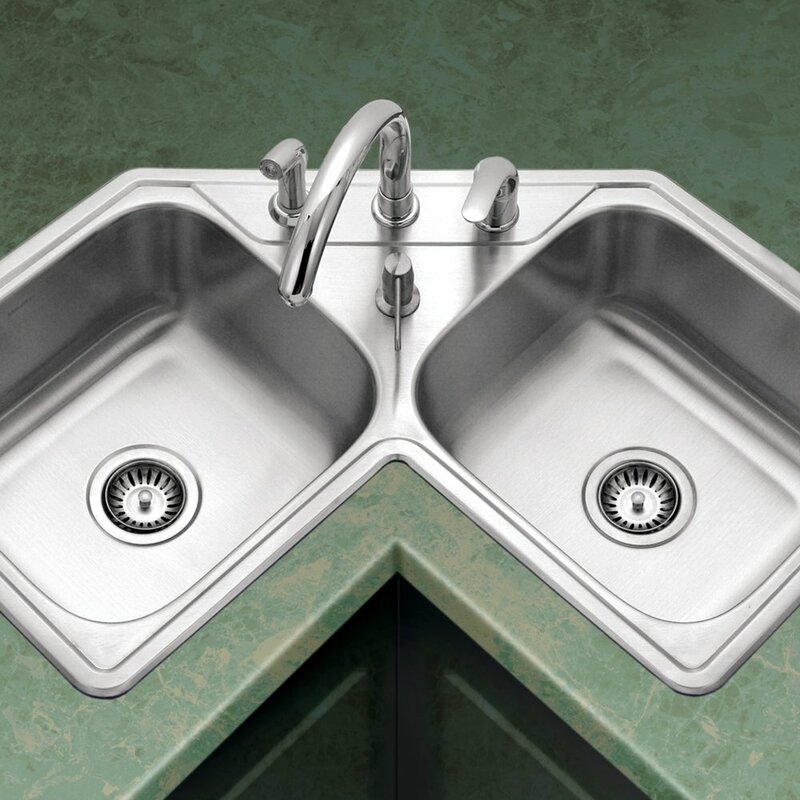 It is one of the most trusted brands in the industry of sinks and faucets and has a consistency in maintaining its name in the market and among its customers. It has been wooing more and more buyers with its versatile range of modern sinks. Looking at the cutthroat competition in this ever growing industry of sinks and faucets, Houzer has easily achieved a great name for itself. Customers have a tendency of building trust with this brand automatically and the reasons are really very simple. 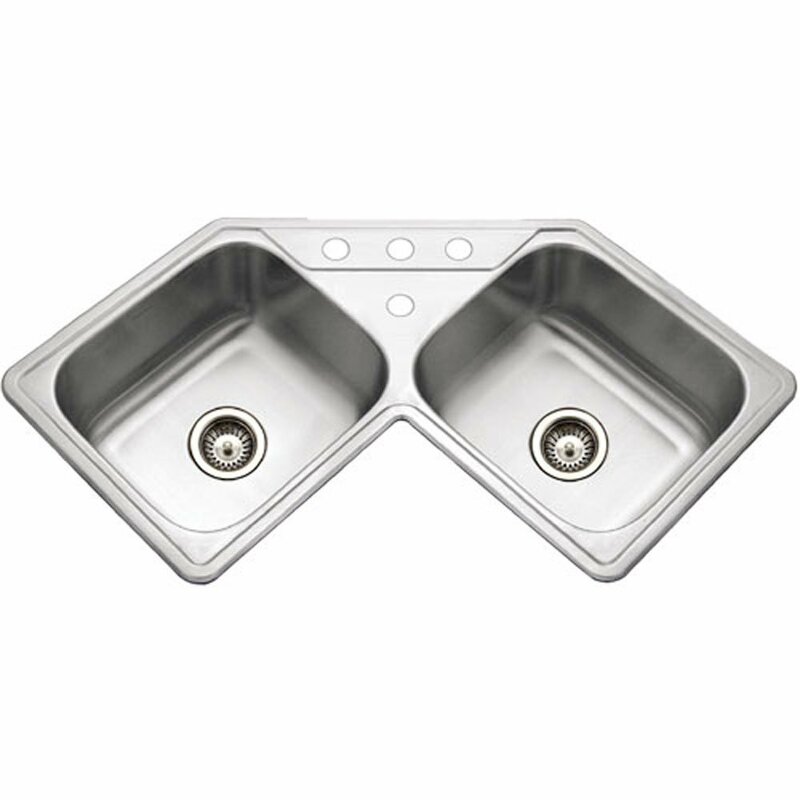 Houzer offers a vast range of sinks, any entertainment area or lavatories. Their sink collection is the ideal way to reflect your personal style and interests in the kitchen. All this has been achieved through the perfect representation of their unique passion for creating newer designs. You can relax as the brand will only offer original items against possible defects in materials and workmanship. Houzer LCR-3221-1 is supplied with cutout template, fasteners and instructions to help you with the easy and hassle-free assembling of the item. The StoneGuard undercoating will help in the product’s easy resilience to scratches etc. The item is very hygienic and can be easily cleaned time and time again too, making it look as good as new. Very minimal care and maintenance are required making your life far more relaxing like never before. The product also comes with a super silencer pad which is a blessing to anyone who hates noise and loves peace.